The above pic is with a black material and a yellow glow-sprite so you can see the 3D easier. I've prepared a download link for a base particle if anyone wants it, since there doesn't seem to be any other way to use it. Anyone think there's anything else hidden in the editor we could find? EDIT: Found some more info on it's usable textures; it fails to render anything complex like transparency or masks, but it can handle most-anything flat. There are also a few materials it can use with reflectivity, such as that used for Jakiro's Ice Path. There is also an ugly-purple texture for oil and a seemingly broken (yet working) scrolling texture for water. Just search 'blob' under materials. I've noticed that too, but it definitely is possible - they did it with the Rubick staff's ambient (rubick_staff_ambient.vcpf) which has the centre-piece as a child, which shows up even if you hide all the other elements (including the emitter) and just leave the child visible. EDIT: It looks like if you save your particle and then close and reopen it, the child shows. They probably couldn't be bothered to work out how to fix that and decided to hide it since they didn't want to deal with the bug reports. Yea, so it seems render blobs is very picky about what materials it will use (even if some of them are rendering the blob particle in the preview when selecting a material). It will generally accept materials and show the blob when using the Ice Surface Dota shader or the Refract shader. Other material shaders don't seem to allow it to render properly (I haven't tested them extensively though). Render blobs is leftover from Source. The fact that it's hidden and still doesn't work properly implies to me that it's either deprecated or not fully ported. Render_blobs is NOT the same as Portal 2 gel. It's generally considered a probable prototype. It was very laggy in Source1 and didn't render 100% properly. They never really used it in games as it was so expensive. Also, hi! This is my first but probably not my last post here. 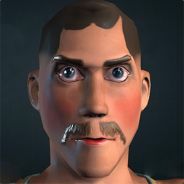 I was absolutely huge with SFM and the technical side of things (figured out HWM for Source 1) and I'm loving Source 2 so expect to see me around. Hey there Narry, and welcome! It does look pretty darned similar to the gel from Portal 2 at least when it gets to small blobs, maybe they ported it over. At the very least I can say it's not deprecated, as it's used in DotA. The particle effects on Rubick's staff are blobs and so is Jakiro's Ice Path. Aside from that it's not used much elsewhere from what I can see so you might be right about it being expensive, but it's pretty darned fast in Source2 compared to how it was in Source1, so I wouldn't worry about using it now and then if you need to. Besides, if you're SFMing it won't lag for your viewers since it's pre-rendered to video. I think they just hid it because it behaves so strange it's pretty darned hard to figure out how to use it. I have a feeling that blobs were developed and managed by just one guy on the dev team and he made it so complex even he can't explain it, so maybe the dev team themselves don't know. If you decompile the particles that use blobs it's pretty freaky what they've used to make them work. That aside, I have to say this community has helped me so much with the mod tools that I was able to finish my old broke-as-hell DotA SFM from almost 18 months ago using the new SFM for Source2 in the Reborn client. Thank you so much, guys! Hi, just joined to share some info about those "Render Blobs" I have from testing them in Source1 Filmmaker. Strangely enough, most of it applies on Source2 too. I wanted to do video tutorial on how to use them, but couldn't force myself to do so, yet. As mentioned on this site, the first incarnation of render_blobs started as experiment for new enemy type for Half-Life 2. 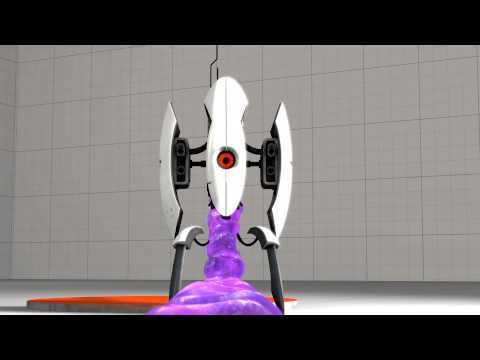 That experiment was called "Blobulator", which happened to be used (in some form) in Portal 2, not as particles though. There's also some info about them in Portal 2's dev commentary, but anyway. That blob implementation is using Metaballs with marching cube's algorithm (here's 2d demo and more technical info) to minimize CPU usage on rendering them, [not scientific explanation] by projecting blobs' onto grid (instead of sampling each possible position in 3d space), interpolates position of each generated vertices, and connects together as a mesh-y, blobby thingy. Now to the particle blobs themselves. "Cube Width" is size of that grid I've mentioned. Lower values produces more vertices, giving more detailed/smoothed mesh at cost of performance, or even crashing/hanging engine itself. "Render Radius" is overall size of blobs. As it comes to materials, it's better to use one-color ones, with some kind of shininess for cool look. From what I've checked, there's not many shaders to choose from in Source2. "GlobalLitSimple", "Hero", or, probably used in DotA2 only, "IceSurface". On Source1 there was also problem with lighting blobs (well, lights on particles in general is still a problem in Source1). They could only use map lights and only from player position. They wasn't receiving light from dynamic lamps(all of Filmmaker's lights are dynamic). 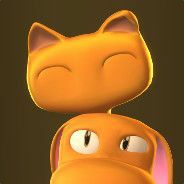 Maybe, with release of Source2 some of those problems are/will be fixed, but only maybe. Wonderful info, I think that's literally everything we need to know about blobs! I doubt it. Knowing VALVe and the DotA dev team they're likely to just figure it works as is, and leave it at that, since it is barely used. They really don't care about small stuff that only affect a few people. Back on topic, has anyone figured out Status Effect particles yet?